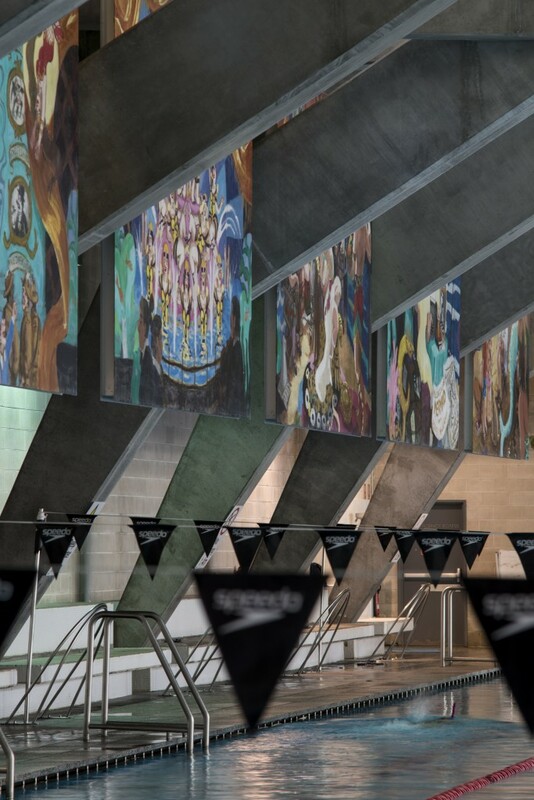 Eight large acrylic paintings on vinyl ester panels that tell the life story of Australian champion swimmer, aquatic performer and actress, Annette Kellermann. 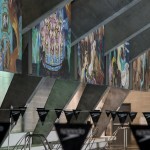 The paintings hang between concrete pillars on the western wall of the Cook & Phillip Park Aquatic Centre. 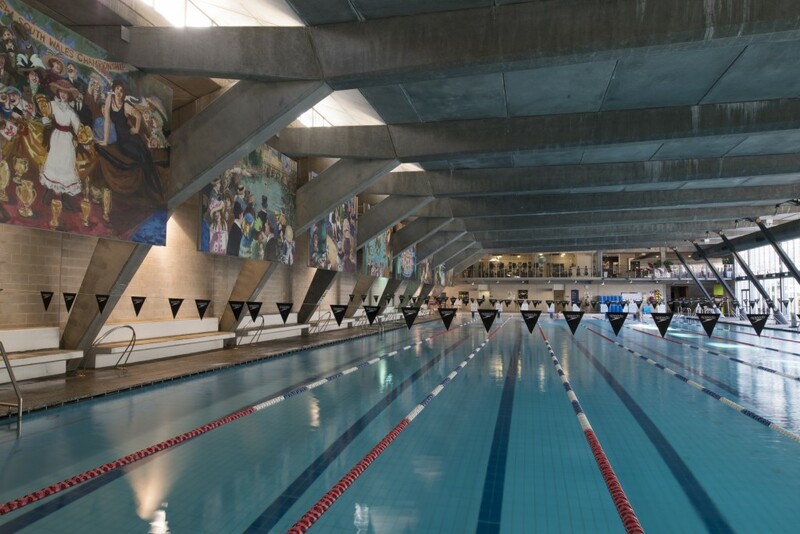 Annette Kellermann was an Australian champion swimmer, who started swimming at a young age to overcome rickets and strengthen her legs. 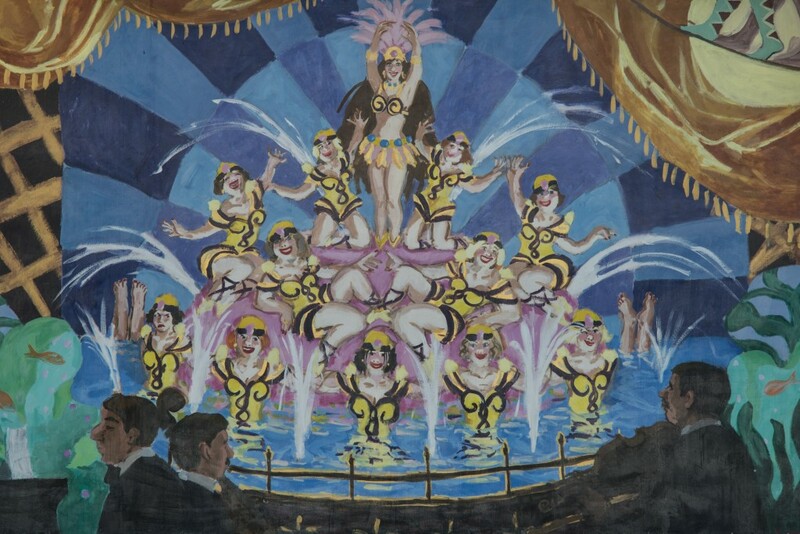 She went on to win a number of world records in long distances swimming before making a name for herself as an aquatic performer, vaudeville star and film actress. 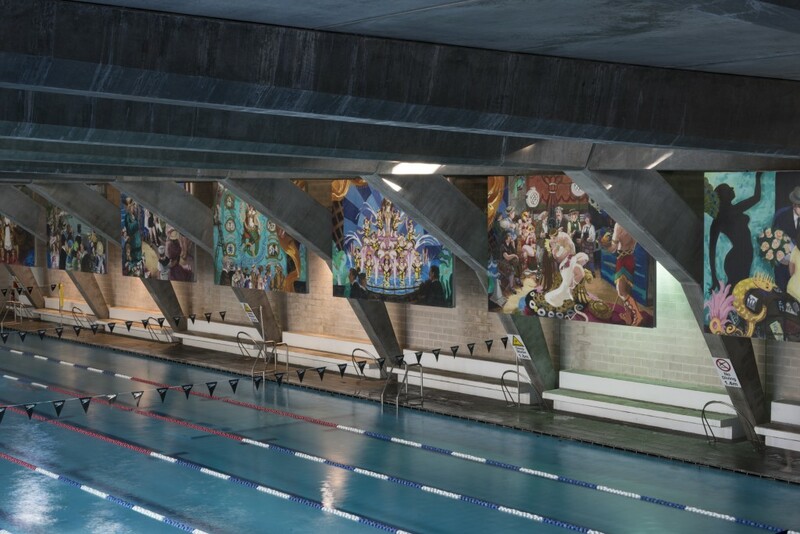 The Cook & Phillip Park Pool artwork recalls the life of Kellermann and is hoped to be an inspiration to the public using the Aquatic Centre as an example of human struggle and achievement. 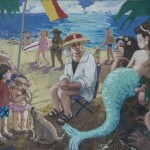 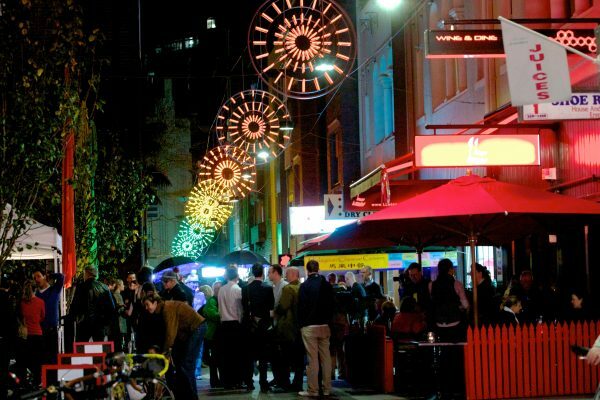 Wendy Sharpe was born in Sydney in 1960. 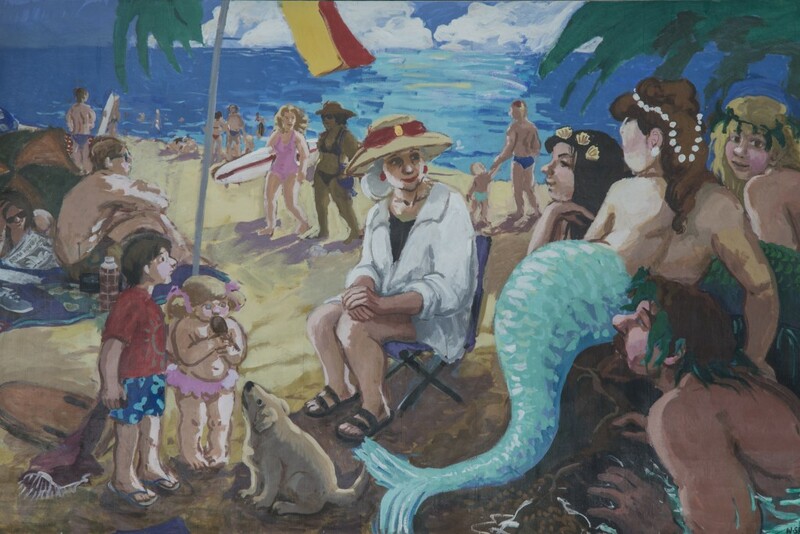 She received a Graduate Diploma of Professional Art from the City Art Institute in 1984 and a Master of Fine Arts at the College of Fine Arts, University of NSW in 1992. 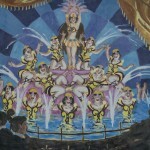 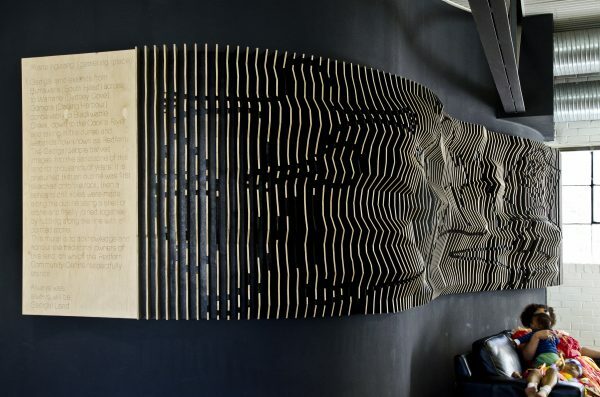 Sharpe has had 12 solo exhibitions and participated in numerous group shows. 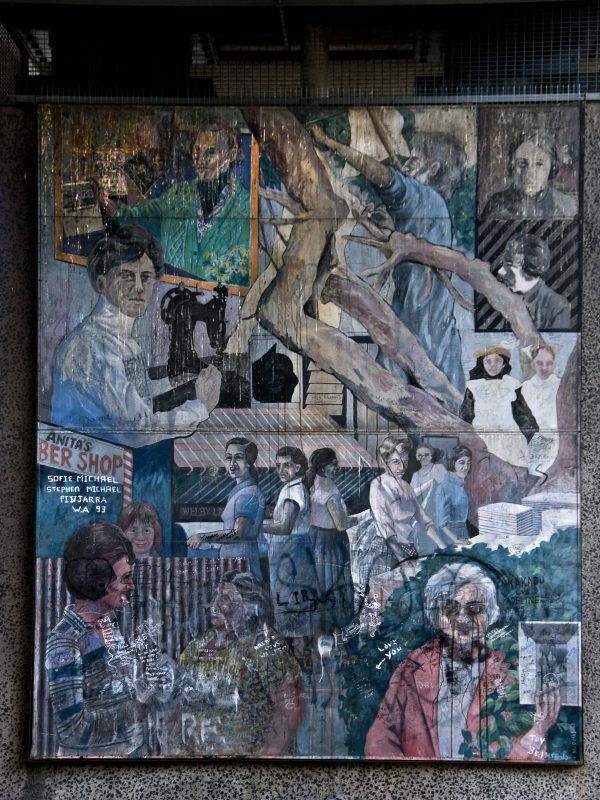 Awards for her painting include the Sulman Prize, the Portia Geach Memorial Prize, the Archibald Prize, and two travelling scholarships. 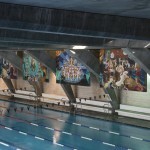 The artwork was commissioned by Sydney Open Museum as part of the building of the Cook & Phillip Park. 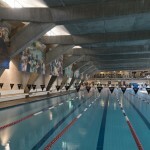 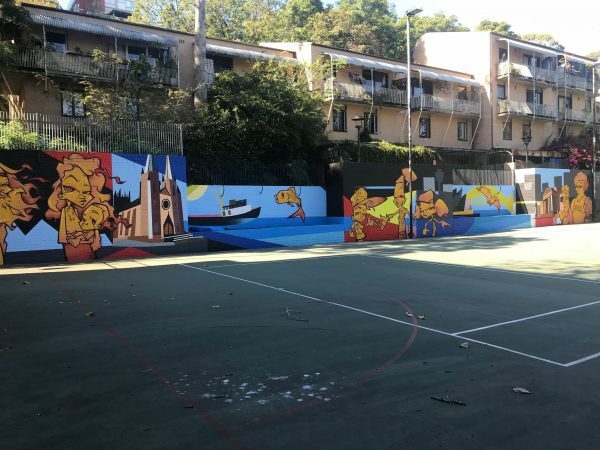 The mural was installed in the Aquatic Centre in June 1999 and unveiled with the launch of Cook & Phillip Park in September that year.